Jobu weighs the fifth outfielder options for the New York Yankees. As we wait for Masahiro Tanaka to make his decision, we have to find something to cover about the Yankees. The Yankees have done a lot to address the outfield already, and are done bringing in big free agents, but there still might be one outfield decision to make when it comes down to the opening day roster. Who is going to be the opening day fifth outfielder? The incumbent is Ichiro Suzuki, but could Zoilo Almonte challenge him for playing time? Right now, the starting outfield is set. Brett Gardner, who avoided arbitration with a one year deal late last week, will be starting in left field; new addition Jacoby Ellsbury will be manning center field and a combination of Carlos Beltran and Alfonso Soriano will me patrolling right field in 2014. Being that the Yankees will probably try to carry a couple of extra infielders, at least until the second and third base situations are settled, there will probably only be room for one other outfielder on the opening day roster. Each player has something to bring to the table, so let’s take a closer look at both. Ichiro might be the best hitter in baseball history. He comes into 2014 just 258 hits shy of 3,000 for his Major League Career. If he can somehow stick around the game for a few more years, he has a chance to become the fastest player to ever reach 3,000 hits in the majors (Tony Gwynn did it in 2,284 games, and Ichiro has played in 2,061 games). While this statistic is impressive, you have to keep in mind that Ichiro didn’t reach the major leagues until he was 27, because he played the first nine years of his career in Japan. There, playing for the Orix Buffaloes, he amassed 1,278 hits. That gives him 4,020 career hits between the two leagues, making him the third player to collect 4,000 professional hits, behind Ty Cobb and Pete Rose. At this point in his career, Ichiro is best used as a pinch runner, defensive replacement and once in a while pinch hitter. Since that’s basically what a fifth outfielder is going to do, then maybe you justify carrying him on the roster. 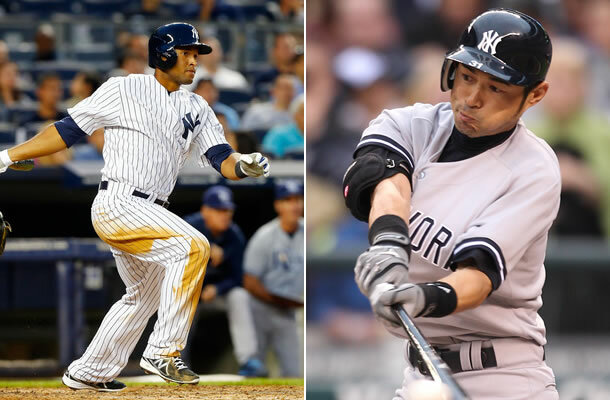 However, Ellsbury is known to get hurt from time to time, and Beltran and Soriano are damn near 40. There’s a chance the guy in the fifth outfielder’s role for the Yankees might end up in more games than you’d think. We first met Zoilo last year, when everyone on the Yankees MLB roster got hurt and, rather than continue to play the ghost of Vernon Wells, the Yankees finally reached into AAA for help int he outfield. Through his first 68 AAA games, Almonte was hitting .297/.369/.421 with 6 homers and 36 RBI. He carried his momentum into some success in the Bronx early on, hitting .583 with seven hits, including his first major league home run, in his first five games. He slowed down significantly thereafter, and eventually sprained his ankle and wasn’t seen again until September. His final MLB slash line for the year was .236/.274/.302 with 1 homer, 9 RBI and 3 stolen bases. He didn’t exactly kick the door down, but he showed some considerable skills. 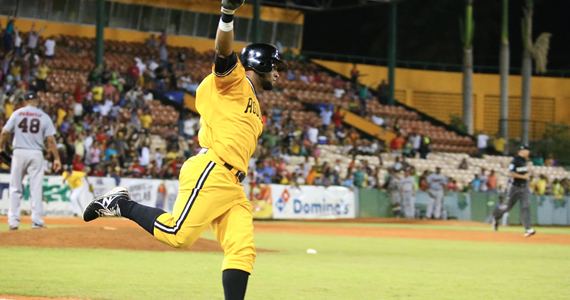 This year in the Dominican Winter League, Almonte hit the ball extremely well, putting up a slash line of .316/.343/.454 with 4 homers and 20 RBI in 43 games. Those numbers are a lot more consistent with his AAA numbers from last season. This is a guy that once hit 20+ home runs in the minors, and has consistently hit for decent average. It’s not out of the question that, in a limited role designed to take advantage of his strengths, he could find some decent part time success on the major league roster. Other than the age difference (Almonte will be 25 in June), and the salary difference (Almonte is still making the minimum), Almonte has the advantage of also being a switch hitter. He’s been a lot better from the left side in his career, but he could help out against lefties off the bench as well. He also has decent speed (he has stolen 20+ bases in the minors) and plays serviceable defense in the corner spots. In an ideal world, I think the Yankees would jettison Ichiro, and his $7MM salary, to another team and go with Almonte. The role of a fifth outfielder is minimal enough that you can get away with giving a kid like Almonte his chance to contribute. Also, the move would save the Yankees over $6MM for the season, which is always nice. 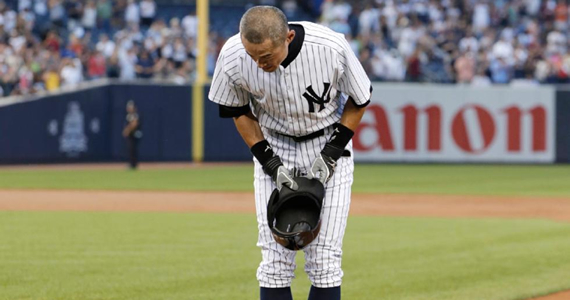 Ichiro is, in my opinion, a first ballot hall of famer, and will retire as a legend in two different countries. However, other than defense and a slight uptick in speed, is Ichiro really any kind of upgrade over Almonte? Keep in mind that these guys aren’t going to play center field unless both Ellsbury and Gardner get hurt, so we’re looking at a part time corner outfielder here. 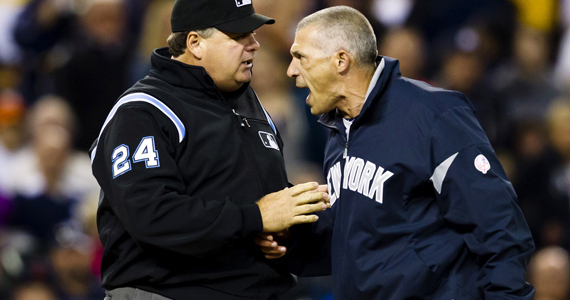 Defense won’t be the most important the Yankees look for for this position. Unfortunately, the world is not perfect. Ichiro was signed to a two year deal after the 2012 season, so he’s under contract for this year whether we like it or not. At this point in his career, his trade value isn’t quite bottom of the barrel, but no one’s exactly chomping at the bit to grab him either. If the Yankees could find a team to eat some of his salary and get back a decent reliever, I think everyone would be thrilled. They could also trade Ichiro for a player in a similar situation, like an aging or injury prone reliever and hope to catch lightning in a bottle. The options certainly are not unlimited here. It will be interesting to see what happens between now and April. For now, I predict that Ichiro will be the opening day fifth outfielder, but we’ll see Almonte in the Bronx again at some point.